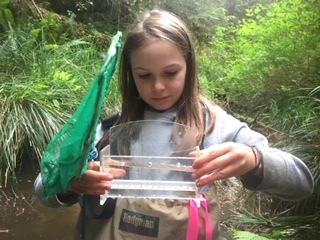 The 2018 BioBlitz in the Children’s Forest was a great success! See this post for the full report, and this post for fantastic photos of the event shot by Seamus Summers. Here is a short video trailer from the BioBlitz, courtesy of Island Light Photography. … to the great community turnout for BioBlitz 2018!!! 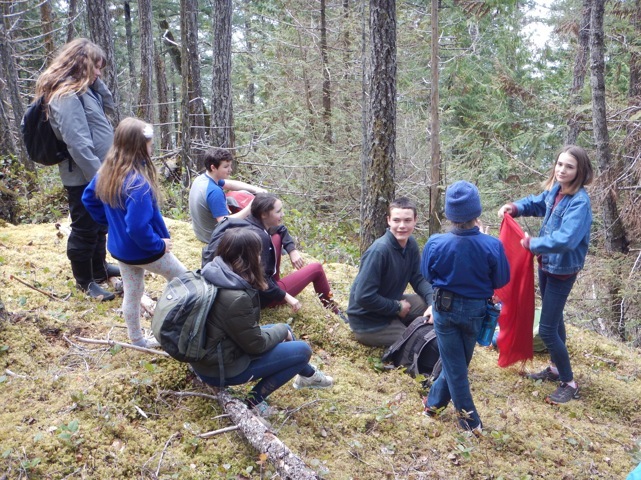 Close to 100 enthusiastic participants walked into Carrington Bay Park basecamp and explored the Children’s Forest with us over the first weekend in May. Guest researcher and forest ecologist, Andy MacKinnon, turned all our heads towards a new way of thinking about and seeing our forests. Did you know that 94% of the vascular plants in our forests have mycorrhizae (microscopic fungal filaments) associated with their roots? These mycorrhizal networks can cover acres of land, changing the old ideology of forest competition to one of forest cooperation!!! 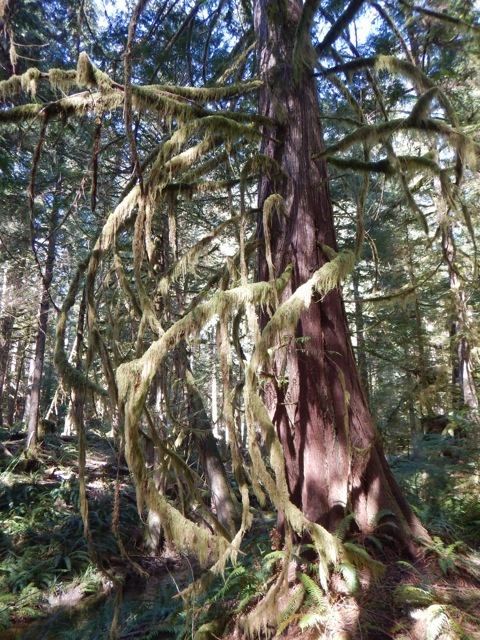 We have trees on Cortes Island because fungi wrap their roots; this is an obligate relationship! Youth learned a new word to dazzle their parents with… circinate vernation; right up there with supercalafragalistic; it describes the way a fern fiddlehead uncurls. 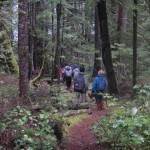 We learned about indicator plants, the tallest trees in the world, the beautiful fern-leaved goldthread, the oxymoron of the word saprophyte and how it takes 1000 years to accumulate coarse woody debris. Most importantly, we learned that we know virtually nothing about the majority of organisms living in our sensitive ecosystems; less than 1% are described. By protecting our sensitive ecosystems, we protect the 99%. BioBlitz! 2018 moves us ever closer to our goal of purchasing the Children’s Forest and gifting it in perpetuity to all children. 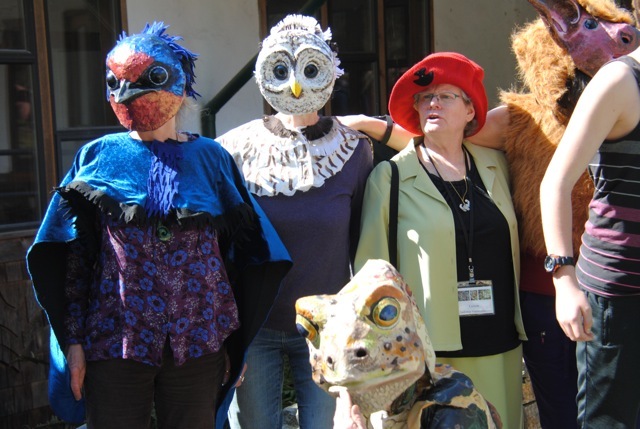 We invite all of you to join us, in - Imagining… a forest in trust to the children!!! BioBlitz! 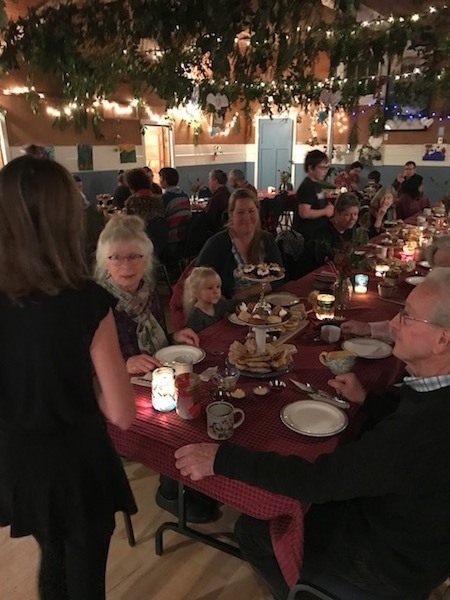 2018 was sponsored by the Forest Trust for the Children of Cortes Island Society (FTCCIS). 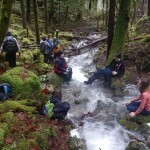 Youth streamkeepers were making their way gently down the creek, wild, wet & slippery, and any respectable trout or coho were as far away as possible from the hip-wading youth participating in another youth streamkeeper programme! 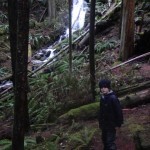 Our location was James Creek, flowing into the Children’s Forest. 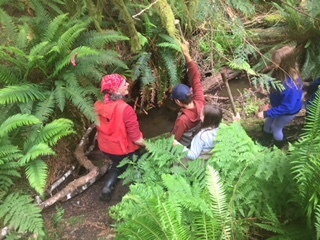 The programme was a joint venture between the Children’s Forest Trust and FOCI Streamkeepers, with thanks to the Vancouver Foundation for some final grant money and Dave Clough, fish biologist extraordinaire. Two live minnow traps (with appropriate licenses) were set, catching a beautiful 11cm adult cutthroat trout and a large 12.5 cm prickle sculpin in one of the traps. We also scooped up a new sight to our eyes when the pole seine brought in a 15 cm lamprey! Streamkeepers would be interested in hearing if anyone else has seen lamprey in any creeks on Cortes. 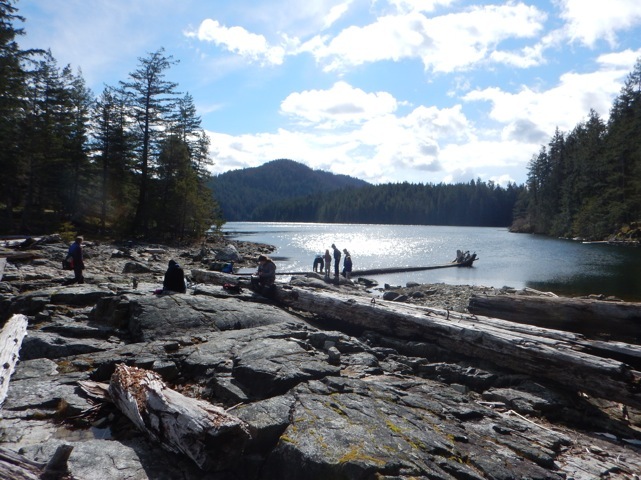 FTCCIS is excited to announce their participation in an exciting new partnership on Cortes Island!!! Cortes Wild! 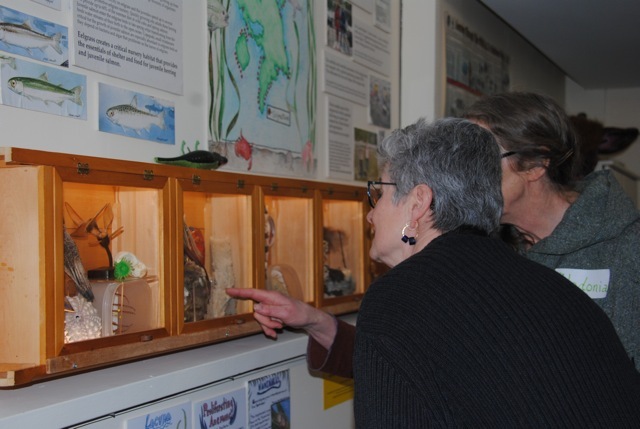 is a partnership initiated by the Cortes Island Museum & Archives Society (CIMAS) to support their new satellite natural history exhibit on Cortes Island. 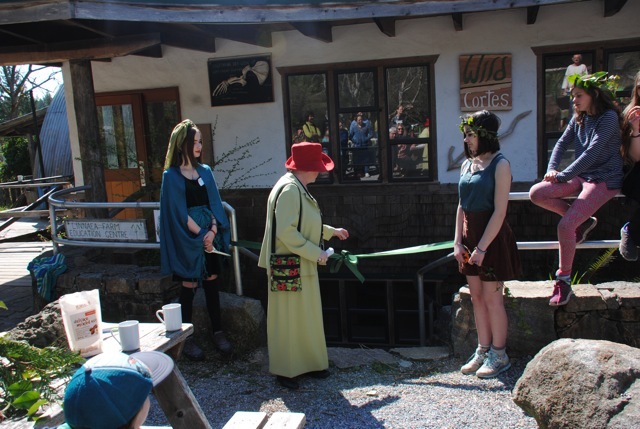 The Linnaea Farm Society has partnered in and provides the physical facility to house the exhibit at the Linnaea Education Center. 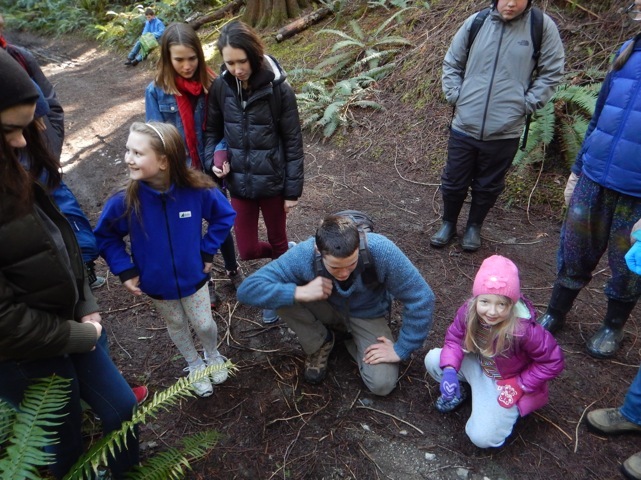 The Friends of Cortes Island Society have partnered in to further their mandate for ecological integrity & community education on Cortes Island. The Discovery Islands Ecosystem Mapping (DIEM) Project has partnered in to share their recent advances in mapping and remind us of our place within the Discovery Islands. 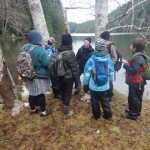 The Forest Trust for the Children of Cortes Island Society (FTCCIS) has partnered in to integrate Cortes youth into the partnership. The Cortes Wild! partnership welcomes everyone to come for a visit! Summer hours are: Fridays and Saturdays 10 am to 4 pm. 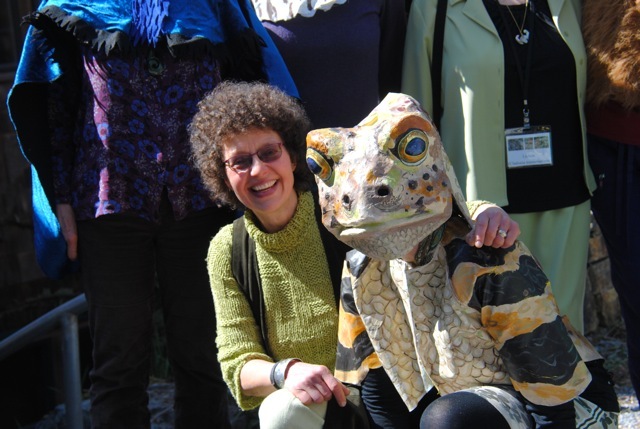 Check out the awesome natural history displays and curiosity cabinet, try on a species at risk “skin” and delight in the celebration of… Cortes on the wild side!!! In preparation for our Community Campout at Carrington Bay Park campsite, base camp for BioBlitz! 2018, a Camp Skills Workshop will be offered on Friday, April 20 from 3:30 pm to 5:30 pm at the Linnaea Education Center. 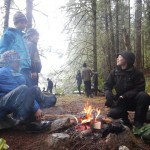 Join Ryan Harvey, Bill Wheeler and Richard Andrews to learn how to hone your camp skills! Bring personal gear that you would like to test out, or just come along to take in the demonstrations on site. 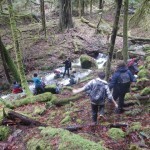 We’re working to keep our BioBlitz campers… happy campers EVERYONE WELCOME! 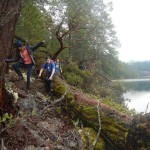 A BioBlitz is a 24 hour intensive survey of a delineated area or place, to assess its biological diversity. BioBlitz! 2018 will be our third BioBlitz in the Children’s Forest and we are planning it as an annual event. 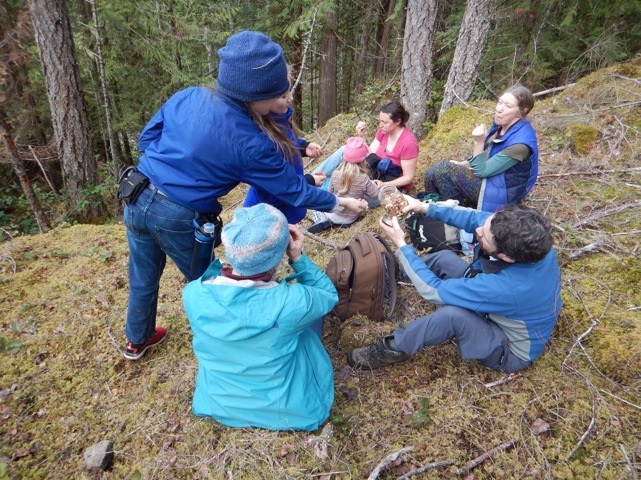 BioBlitz brings the Cortes community together every spring to look, see and wonder over the beauty of these forest lands. Every year we discover something new to us and new to the comprehensive inventory of fauna and flora that we are compiling. 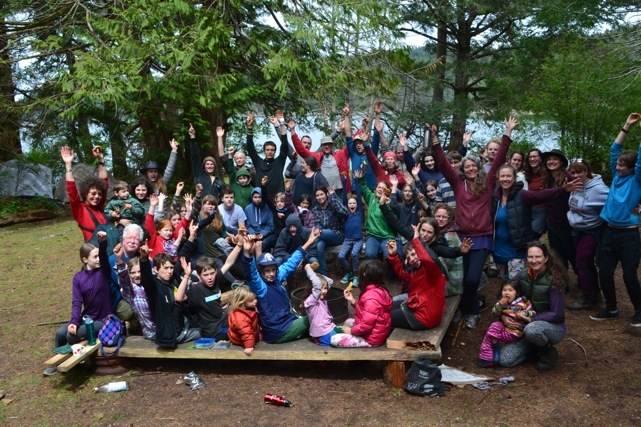 The goal of the Forest Trust for the Children of Cortes Island Society (FTCCIS), is to purchase the Children’s Forest and gift it to the children of Cortes Island in perpetuity! A strong inventory of fauna and flora strengthens our case for long-term protection of these ecologically significant forest lands. Registration details for families with youth interested in participating are forthcoming from FTCCIS on Tideline. This is a free community event and everyone is invited! All youth under 18 years of age are required to register; parental consent and supervision required. BioBlitz! 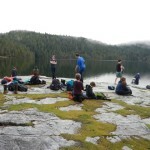 2018 and the Camp Skills Workshop are sponsored by the Forest Trust for the Children of Cortes Island Society. 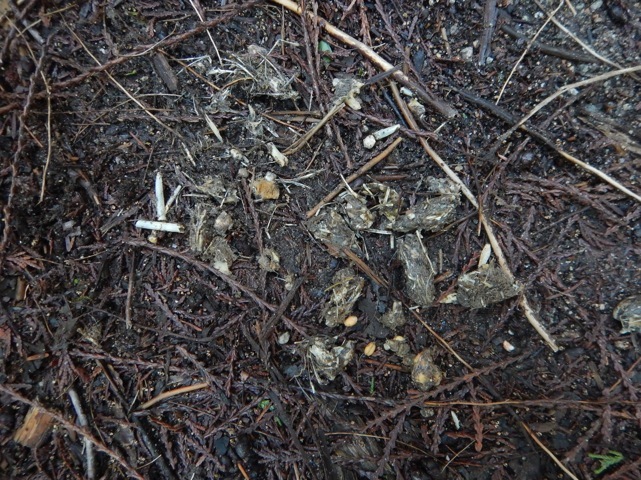 April 1st Nature Study Day… No Fooling!!! Another EPIC walk, this time from Carrington Bay campsite the back way onto Blitz Bluff!!! Only for the hardiest of heart; this bush whacking was serious!!! We found previously undiscovered bluffs bursting with arbutus and manzanita; home to alligator lizards! 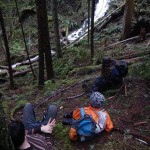 Streams rushing to reach Carrington Lagoon with spectacular maple trees towering overhead!! 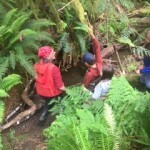 You just never know what you might discover off the trails and into the heart of the Children’s Forest!!! 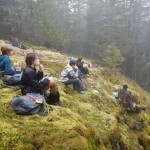 Nature Study Days, the first Sunday of every month; don’t miss out! 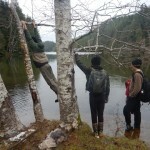 February Nature Study Day in Photos! 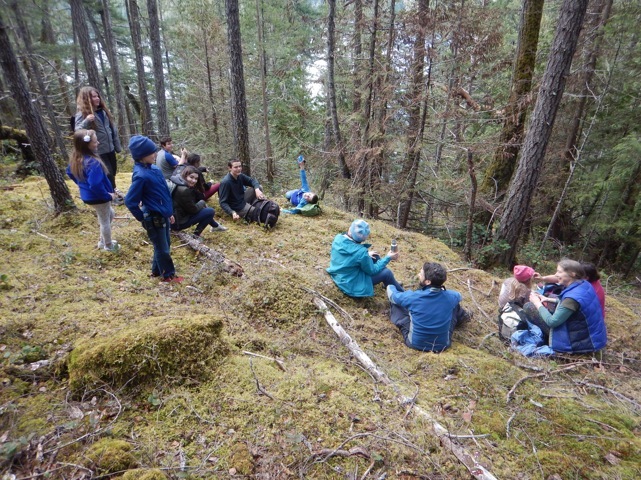 FTCCIS Nature Study Days in the Children’s Forest continued this month with an epic hike up Blitz Bluff and north around the east side of the Carrington Lagoon! 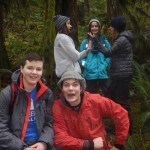 Place-based, experiential education; AKA, good fun! 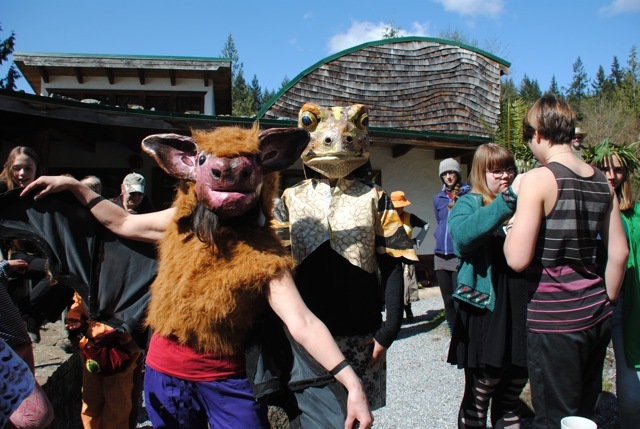 The Children’s Forest on Cortes Island is a place claimed with the heartfelt feelings of many who head out the first Sunday of every month of the year to experience this wild place. 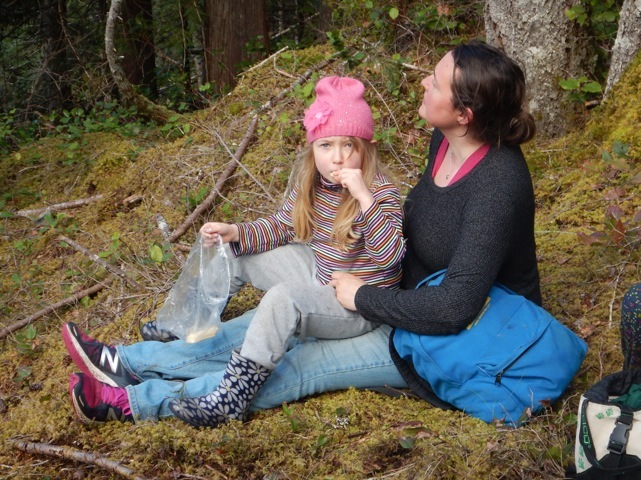 These Nature Study Days are sponsored by the Forest Trust for the Children of Cortes Island Society (FTCCIS). FTCCIS has a constitutional mandate to deliver place-based, experiential education; Nature Study Days deliver this, in spades!!! In developing a relationship with a place, the first thing you need to do is spend time in that place; get to know it in all its seasons, weathers and moods. 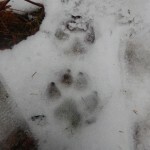 On today’s January 7 Nature Study Day, our first of the new year 2018, we discovered wolf tracks in the snow, spotted a scurrying white-footed mouse and flushed a red-tailed hawk! 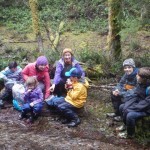 We sloshed through melting snow, rushing streams and fabulous mud puddles! The filtered light brought out the tapestry of greens in the forest, more vibrantly that at any other time of the year. 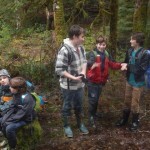 This is January in the Children’s Forest; the place… the experiences. February will be completely different; so why don’t you join us and delight in the experiences this place shares with us each and every time we venture out into her wild space! 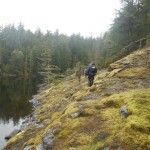 February 4 is the first Sunday in February; we’ll look for you at the Carrington Bay Trailhead at 10:00. 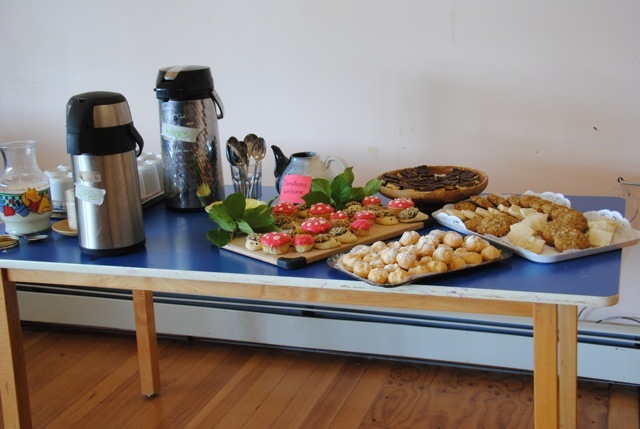 The Children’s Forest tea party was a delightful afternoon of youth improv theatre and delectable treats. 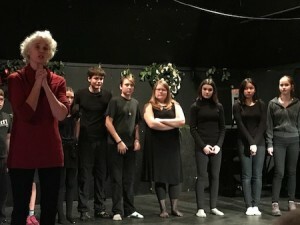 Huge thanks to the youth for their shining, witty, inspiring improv theatre that brought laughter & joy to the audience. And what an eager, helpful, and somewhat wild troupe of servers, offering tea and goodies to guests. There are many to thank for the success of our fundraiser: Connie, for your passionate direction with improv theatre and Ashe, for your deep energy holding the youth; Sujon, for your vision of the tea party, and your amazing energy in the kitchen and the most delicious finger food delicacies; Lovena, for rocking the silent auction; parents, for your camaraderie and teamwork! Many thanks to all who bought tickets, attended, and helped push auction prices up. 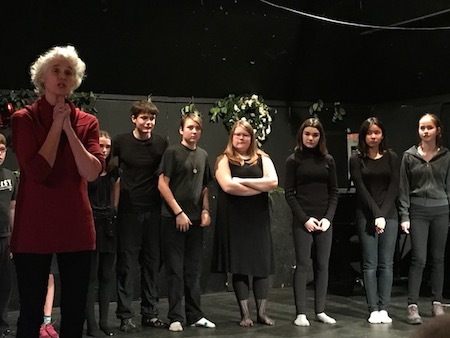 We are still waiting final word on the funds that were raised towards our spring theatre tour, but we exceeded our hopes. 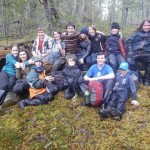 To support the protection of the Children's Forest, contribute online through CanadaHelps.org. 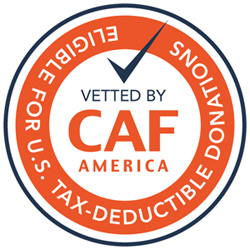 US tax-deductible donations through the Charities Aid Foundation. 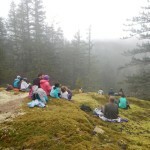 Hear about news from the Children's Forest!